Your business doesn’t have time to shut down while industrial concrete floor systems are installed and curing—and with Florock, it doesn’t have to. 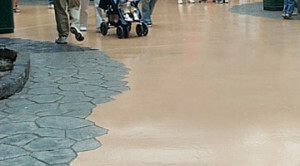 Our quick cure flooring and coatings are some of the fastest available, with accelerated curing times that make them ready for foot traffic in as little as one hour. Make extended scheduled downtime a thing of the past with our wide variety of durable, beautiful and fast-curing industrial concrete floor systems. 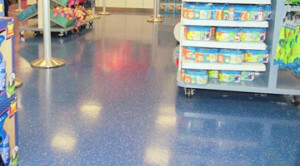 Our full line of quick cure flooring and coatings offers more than just an impressive installation time—it has the strength and durability you need for your facility and expect from Florock. With the slip-resistance to help avoid dangerous incidents and the strength to stand up to abrasion, corrosive chemicals, impact and more, these quick-curing formulas offer all the high performance you’ve come to know with our line of industrial concrete floor systems. Even quick cure flooring should have looks as outstanding as its performance, and with Florock, you get the whole package. Our various quick-curing formulas give you options for a colorful, professional and timelessly stylish appearance that holds up under heavy use. These floors are strong enough for the industrial sector and attractive enough for environments like retail, hospital, food and beverage, and transit facilities—the people who walk on your floor every day will never know that it was fully cured in only an hour. Depending on the size and conditions of your facility, our expert installers can finish the application for your entire floor in as little as one day. Whether you need our approved specialty contractors to work in sections, so as to not interrupt your daily routine, or you want the installation to take place on a slow day, our quick cure flooring gives you options. No need to worry about the time crunch and logistics that typically come with scheduled downtime. Just give us a call, and local Florock professionals will be in and out before you know it, leaving you with the optimal fast-curing flooring solution your team and your facility requires.